I never would have imagined the path our lives would take when Dakota, our daughter, wanted to try a tactical shotgun match at the age of 12. I went from being very uninvolved in anything firearm related that the family did to being a full fledged member in the shooting sports, including participating on the Board of our local Sportsmen’s Club. 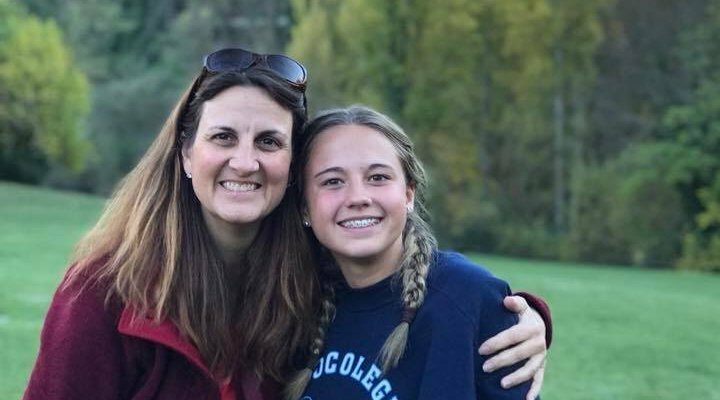 The passion Dakota has for shooting inspires, not only other young ladies, but also opened up a community and family that we didn’t even know existed let alone was missing. Through this community I have seen the values of the shooting sports and the 2nd Amendment. The commitment each family is able to make is specific to their own circumstances, schedule and desires. I frequently am asked questions on a variety of different topics as it relates to the participation of youth in the shooting sports. There are a few nuggets of advice that I either was provided with myself or that I learned through our journey. Age is not the determining factor. Age is a number and each kid is different in regards to maturity, strength and focus. The shooting sport involves guns and ammunition, with this comes risk of injury or even death. As a result, maturity is critical to appropriate behavior and safe gun handling. Although being at the range is fun, being with a squad may include some shenanigans this is all done within the confines of safety measures designed to keep the competitors and the spectators’ safe. Strength is another factor that is important to recognize. Making your way through a course of fire or standing at the line shooting trap requires enough strength to shoulder the gun and complete the course of fire. Without adequate strength gun handling can become unsafe and not very fun. The ability to maintain focus is another important skill required to be successful. This ensures that your child can remain focused on instructions provided regarding a course of fire, maintaining proper control of the firearm during the course of fire, and the right level of discipline to follow the instructions of range officers and/or coaches. Start with single gun competitions. When we started, we jumped right into the sport of 3-gun. This is Dakota’s passion and we love the community that we are now a part of. However, solid advice is to start with a single gun competition. Reducing the complexity of the sport with more singular focus and less movement will help with ongoing success and improvement. It gets the beginner shooter to focus on a single firearm, which could be centerfire pistol caliber carbine (rifle format with a 9mm) and/or rimfire and learn safe gun handling and manipulation. These sports also allow for table starts and stationary shooting positions allowing the focus to be on learning the firearms, range commands and the pressure of the timer. Once a comfort level has been reached then IDPA or USPSA is a good next step. These sports include a single firearm, but also include movement and transition from shooting positions. I always suggest USPSA as a good platform for those wanting to shoot 3-gun. The pistol, for many, is the most challenging firearm to become proficient on and participating in USPSA drives a greater level of accuracy and also provides opportunities to learn stage breakdown and position transitions. It doesn’t have to be expensive. It will never be cheap, but what sport is? However, it does not have to be cost prohibitive. The expense depends on what level of participation you want to do. Trap shooting is a great option for kids. Generally teams, ranges or coaches will have firearms available to be used while learning the sport so your costs are limited to ammunition and range time. There are a couple of different youth trap shooting programs that help to drive down the cost of range time and also provide discounts on ammunition. Once a shotgun is something you decide to purchase there are many good options that are reasonable. It is about personal preference and fit when it comes to the right firearm, just because a gun is more expensive does not mean it is better. For action shooting sports there are not as many organized youth shooting options, however, the community is fantastic and many will let you try before you buy. Having a single firearm focus will help to reduce costs as you only need a single firearm and shooting locally will cut down on costs associated with travel and major match fees. If you make the jump into 3 gun, Generation III Gun provides junior scholarships for major match fees which helps reduce costs associated with competing at that level. Additionally, cost savings can also be recognized through practicing disciplines through “dry fire” which allows the shooter to practice fundamentals without ammunition (no ammunition can be within the vicinity of the practice space- safety is most important). This type of practice does produce results and is much easier on the pocketbook. Let your child define their passion. The shooting sports are unique in that they include both kids and adults competing against each other. Trap shooting, as an example, provides truly equal opportunities for success regardless of age, gender or physical fitness. Additionally, it is a sport for all ages, so you can compete and/or participate as a family. Many clubs offer mixed gender and age leagues so everyone can come and participate. For the action shooting sports the majority of competitors are grown men and the kids that participate tend to have a parent that is familiar or, at a minimum, enjoys the shooting sports. I have seen many dads and kids participate together and have also seen where the parents are the driving factor in participation. This may bring you a year or two of time at the range with your kids, but will not be sustained and ultimately will turn them off from shooting sports. Do not push; let them define the schedule and the level of dedication. Having transparency on what you are willing to contribute based on commitment is important and fair. For example, a major match in a different state is expensive such as, travel costs, match fees, and time away from work and family obligations. Like any other sport, it is fair for you to only provide this opportunity if your child is willing to commit to practice and local activities to ensure that they are prepared and able to participate in the more complex courses of fire. Embrace the community. Those involved in this sport are great people. This sport really is a community of like minded people sharing their love for shooting and competing. Trap shooting will have a more traditional opportunity for kids with many high schools with organized teams and traditional coaching roles. The action shooting sports does not generally have a traditional team or coaching option. The participants in the sport will provide you with significant support. It is the only sport we have experienced that top level shooters will come from finishing their run and provide what they could have done differently so that you can be better. The squads and regulars become your second family and they are very excited to help kids and watch them succeed. They really will do anything on the range to help your child be a better shooter and more importantly a better person. Each competition type (3-gun, USPSA, IDPA, etc) has their own community, which has their own uniqueness, but there is some overlap. We love our 3-gun family. With that said, as in every walk of life, you do have a few people that don’t live up to the expectations. If you encounter one, just know that is a rare occurrence and look to the other side of you because that may be your new best friend. The junior camps are worth it. There are a couple of junior camps ran by dedicated volunteers in the community. They are generally reasonable expense wise because they are only trying to cover the expenses to run the camp and provide the most opportunity for participation. Two action shooting camps that you should check out are 2A Heritage and MGM Junior Camp. The experience levels needed to participate vary, but there is tremendous value in getting a child excited by the sport involved in the camp. You will find that in their “school” environment they will have very few kids that understand the sport or participate. Dakota has created solid friendships with kids her age from across the USA that she met participating in junior camps. School. This is one of the most challenging topics. Generally the kids participating in the shooting sports are good students. The majority of schools support trap shooting sports. This is more traditional, they generally have teams or are willing to have teams, and there are scholarship opportunities for kids that are successful. For the action shooting sports the experiences of families have been vastly different and not always positive. Many kids involved in the sport are home schooled, removing the school institution from the equation; however, this is not an option for many families. In the traditional state schools there are a variety of different “rules” that will prohibit your child from feeling free to share their passion of the sport. Many schools do not allow firearm related clothing (which you will acquire a significant amount of), will define discussion of guns as not appropriate at school, your child may be teased and called the “next school shooter” (yes, this happens more frequently than you would think), and administrations/teachers have not always been supportive. No experience has been the same for families in this sport, and the potential challenge is worth the value it provides. The best advice is to embrace the parents already in the community, ask questions and advice about their experiences. They likely have dealt with a school situation or know someone who has and can provide insight on how to best address the particular situation. Virtues and Values. The values your child will receive from participating in these sports are numerous. Empowerment. The skills obtained include problem solving, performing under stressful situations and proficiency in firearms. These create an empowerment for kids to know that they can overcome challenges and have the skills to react responsibly under pressure. Communication and Social Skills. Kids are exposed to many different adults and at times are the only kids participating in the event. This forces the kids to interact with an adult audience making conversation and participating in a mature fashion. Responsibility. A common trait that you see throughout the topics above is responsibility. Just by virtue of the sport, irresponsible behavior is not tolerated. Family. You can participate together as a family. Frequently junior shooters will have a parent, generally his/her father, who also participates in the sport. Fathers are usually the “parent” that you see bringing their kids to the range, but there are a few moms. And moms should be there! Just like watching your kids practice/play other sports, this is a great bonding experience as a family. If you are a Parent that does not shoot, you are welcome to just hang out or if they can participate in helping with reset, scoring, etc. I ended the list on value purposely because I feel very blessed with the value this sport has provided to my family. I have seen my children grow as a direct result of the participation and experience that the shooting sports has provided. Dakota has a very strong relationship with her father, whom she shoots with regularly. Frequently, I am complimented on her maturity and interaction with adults. I’m proud of her for so many reasons, and I’m grateful for our competitive shooting journey.